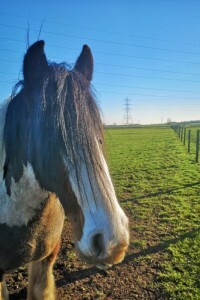 Marty is looking for a home as a non ridden companion. He had a rough start in life and unfortunately can not sustain any ridden work. 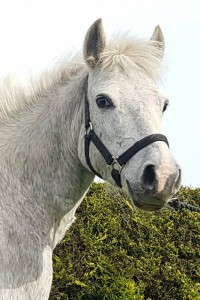 Marty is a very friendly pony, who loves lots of fuss and attention. 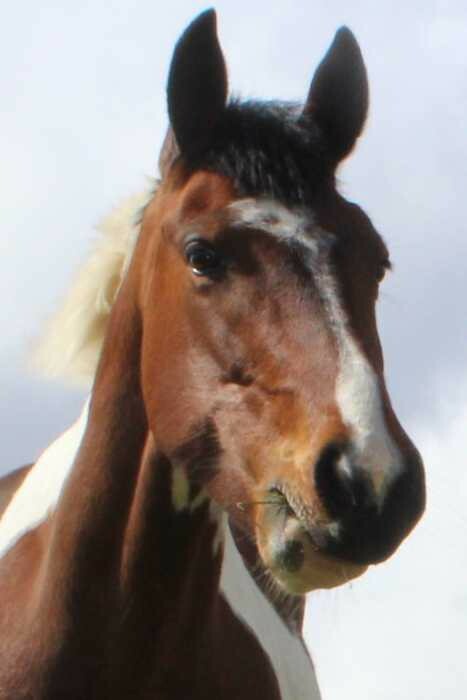 He will mix with mares and geldings, and gets on well with others, but is quite a playful, cheeky horse. 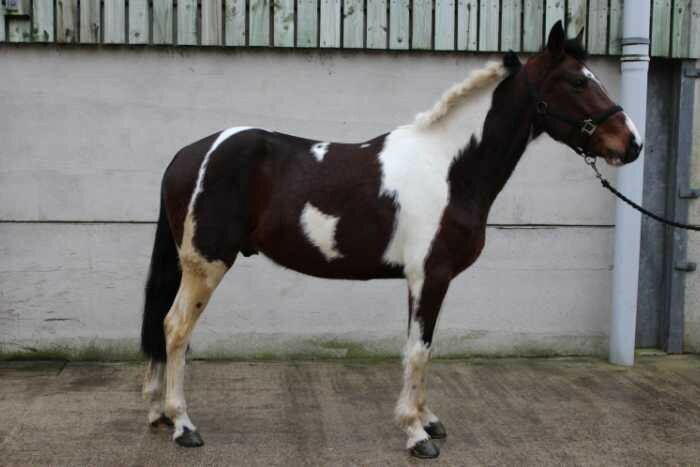 He is good to catch and handle in and out of the stable, and he enjoys coming in to be groomed. Marty is good for the vet and farrier. If you are interested in rehoming Marty, please apply online. Marty is quite a cheeky, playful chap. Marty was abandoned with a companion in an unroadworthy trailer on the motorway.